Resilience or the ability to ‘bounce back’ after encountering problems is an essential trait. Inevitably, life will throw up some apparently adverse situations, and being able to deal with such circumstances in a positive and creative way is often a measure of how happy and successful a person is. Scientific studies have shown that resilient people show lower levels of depression and are more likely to develop personally as a result of adversity than people with low levels of resilience. 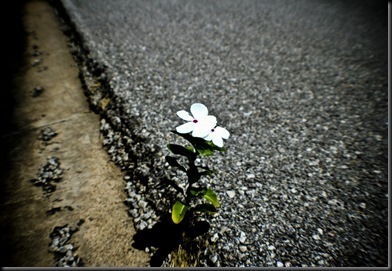 Some people do seem to be more resilient by nature but, like most things, resilience is a trait which can be developed. The following are ways of doing so. 1. Develop a positive self image. Everything starts in the mind – resilient people think well of themselves and see themselves in a positive way. 3. Show appreciation. Being able to focus on the good things in your life and not dwell on problems will keep you in a positive mindset and help you to be more effective. 4. See the good. We’ve all heard the ‘glass half full’ mentality – resilient people tend to see stressful events or crises as temporary or even as opportunities to learn and grow, rather than as unbearable problems. 5. Be proactive. The holocaust survivor, Viktor Frankl, noticed that people in the camps who believed they had some measure of control over their circumstances were far more likely to survive than people who felt they were passive victims of circumstance. Resilient people take responsibility and take effective action to change things. 6. Accept circumstances that cannot be changed. Some things simply cannot be altered and resilient people accept this, not wasting energy on trying to do the impossible. 7. Develop goals and take appropriate action to achieve them. Having a sense of where you are going is important. Glitches and setbacks are inevitable, but resilient people keep the destination in mind. 8. Take a long-term view and keep in mind a broader context. When seen from a bird’s eye perspective, problems tend to become less important. 9. Be optimistic. Resilient people maintain a hopeful outlook, expecting positive outcomes. Of course, this can tip over to a ‘Pollyanna’ mentality but it is no more realistic to be negative and pessimistic than to expect the best. 10. Keep learning. Resilient people are determined to learn useful lessons from setbacks and problems. Looking back, we might realize that we learned the most from what seemed to be the most difficult of circumstances. Resilience is very often the factor which leads some people to overcome immense obstacles to become successful. Look at many well known, successful and wealthy people with humble or even deprived beginnings and you will see resilience in action. Take steps to develop resilience in your own life – it will serve you well. Mark Harrison writes at ChangeYourLife.net. Check out his Habit Builder Course, and get his RSS feed here.